Our congregation joins neighbors in reaching out to our un-housed community when the weather turns dangerously cold. At our Service-As-Worship Sundays we prepare meals and go-bags of supplies. And in the winter months, when the weather is colder than 20 degrees, or 25 with precipitation, we open up as an emergency shelter on our night, Wednesdays. Our shelter runs as a collaboration between Oak Hill Pres, Compton Heights Christian Church, and Isaiah 58 Ministries. Guests are given rides from Winter Outreach volunteers to our building, and share in a meal, get in out of the cold, and stay over night. Then we have breakfast together in the morning, and make sure folks get back to where they need to be by providing transportation assistance. 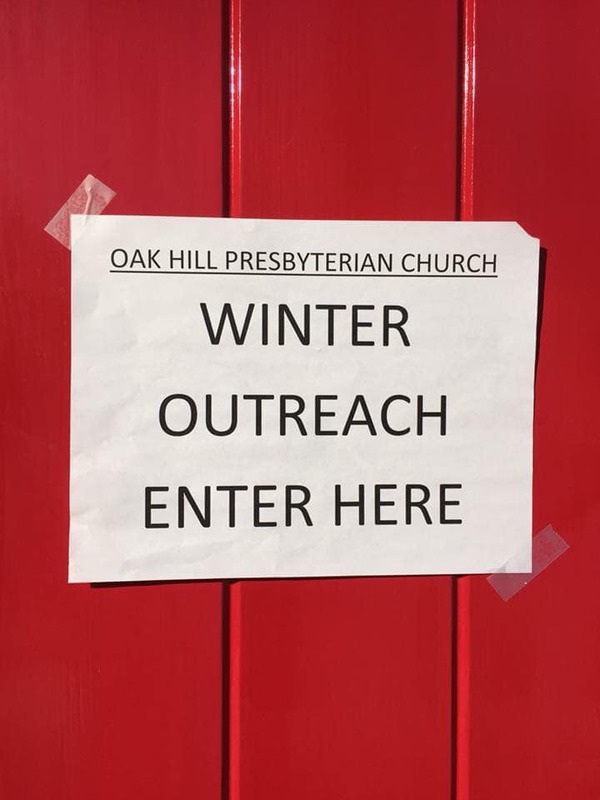 If you are interested in helping with Winter Outreach or emergency sheltering at Oak Hill, please reach out to our Mission Committee Chair, Dena Roper (church members, her contact info is in the church directory), and be sure to watch our Facebook page, as we post volunteer and donation needs there regularly.